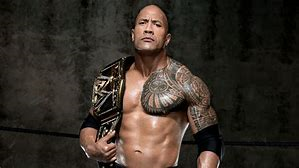 Johnson Dwayne popularly referred to as ‘The Rock’ has opened up on a secret battle with depression that he has been harbouring for 30 years. Despite being Hollywood’s highest paid actor and a global superstar after a successful wrestling career, Johnson had a tough upbringing. The 6ft 5in Johnson said his mother tried to commit suicide after they were evicted from their apartment – and it left a mark on him. Johnson told the Express, “She got out of the car on Interstate 65 in Nashville and walked into an oncoming traffic. Big rigs and cars were swerving out of the way. “Struggle and pain is real. I was devastated and depressed. Despite being just 15, Johnson told how he saved her from the road by pulling her back but his battles didn’t stop there. After carving a successful career as a WWE wrestling, he moved on to acting with such films as Fast and Furious, the new Jumanji and his latest offering, Rampage. The Rock, 45, from Hayward, California, was last seen in WWE defeating Erick Rowan in a record-breaking six seconds at WrestleMania 32. Earlier this month he responded to Roman Reigns calling him out for a WrestleMania showdown … with a metaphorical ‘just bring it’. 0 Response to "I battled depression for 30 years, Fast and Furious actor, ‘The Rock’ says"